I have been hearing about a new park along the Delaware river lately called "Pennypack on the Delaware". The name makes it sound pretty nice. It seems pretty birdy based on the reports. 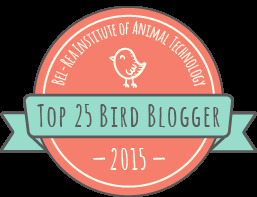 It's been mentioned by DVOC bird club members, on the Internet, and even by Tina's husband Phil. So, off we went this morning to check it out. First of all, the entrance to the park is right next to the entrance to the "detention center" (prison). Second, it has fences with barbed wire. Third, the gate as locked at 8:15 when we arrived. Fourth, it's full of soccer fields. The park ranger showed up just as we were deciding what to do, so we went in. Boy are we glad we did. 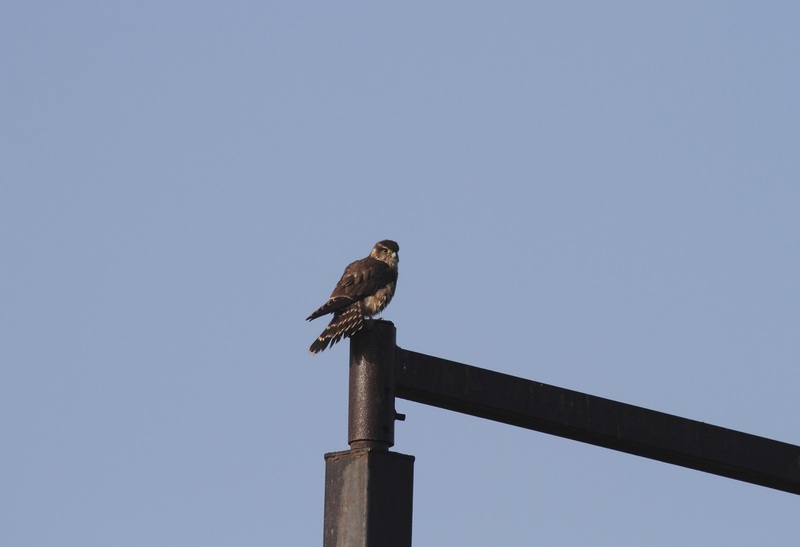 Connie and I were greeted by a perched Merlin - which is a type of falcon - on a light post above the barbed wire which separates the park from some sort of minimum security detention center. We could hear them calling out names of the "guests" over the loud speaker as I took these shots. 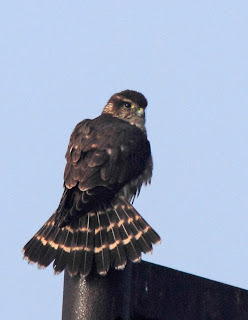 It was still a little foggy when we first saw the Merlin. I took a chance and got out of the car to take a few quick shots figuring that he/she would take off but it didn't. It sat there for over 15 minutes preening and looking around. 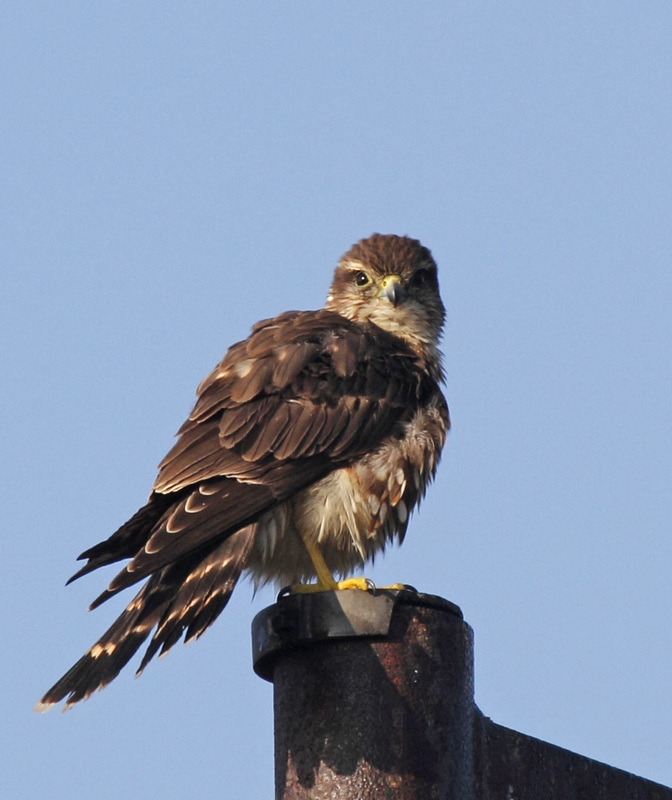 I'm taking a chance and calling this bird a female due to the overall brown coloring. She kept fanning her tail like this while she sat there. The little birds in the bushes below were going crazy chattering warnings to the other birds that there was danger (Merlins eat birds). She just sat there. The lighting got better almost immediately which gave me some better photos. Here she is looking at us. A few other cars passed too and she didn't budge from her post. She sat there so long that we started getting comfortable with each other. Here she is starting her knock, knock joke - "knock, knock" "who's there" "lettuce" "lettuce who?" "Lettuce out of this prison!" She thought it was funny. . . This is actually the best photo that I took the whole time. She is preening her tail feathers and has just a tiny piece of the feather in her beak. Check out how big her feet are too. We walked the path north to see where Pennypack creek meets the Delaware river because Phil said that there was a Bald Eagles nest up there. We walked past the barbed wire fencing and past the soccer fields into a less developed part of the park. 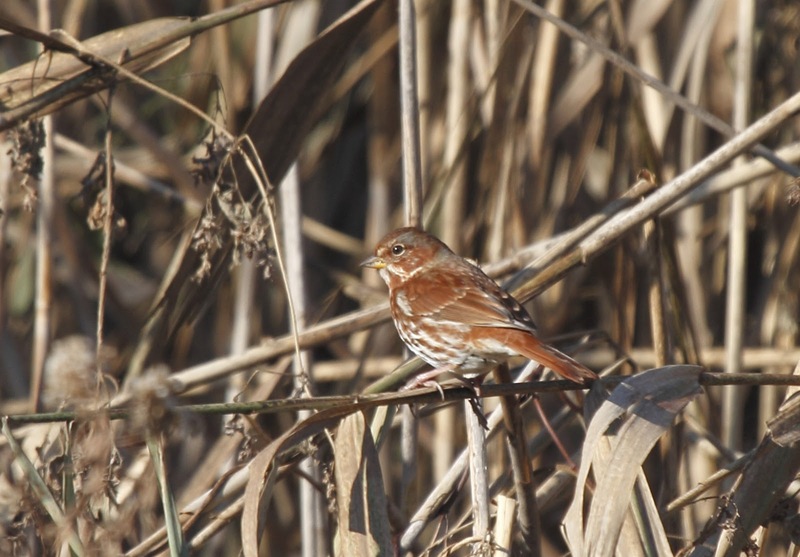 There, we saw a ton of sparrows including this Fox Sparrow which was a life bird for Connie, Lori and Tara! 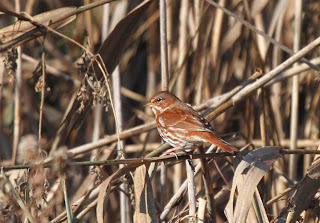 You can tell right away it is a Fox sparrow because it is the same colors as an actual fox. Pretty bird. We also got Swamp, Song, White-throated and White-crowned sparrows, Towhee and Junco (which are also technically sparrows) all within a 50 yard span. Not bad. Then, we found the Eagle's nest with the Eagle sitting in it! Unfortunately, it was pretty far away and all I got was this lousy photo, but it's pretty cool to see a Bald Eagle in the city! We saw another lady who was looking at the Eagle through cheap binoculars. She quickly hid them, packed up and left before we could approach her. 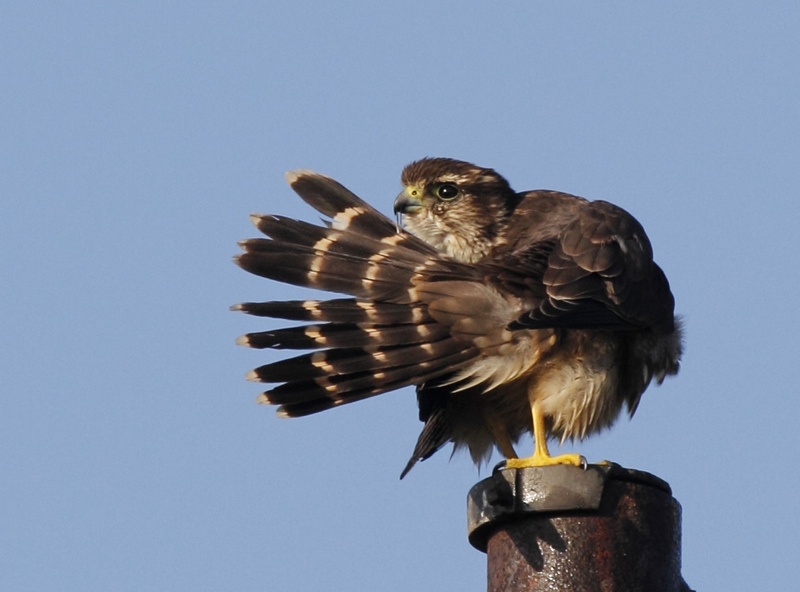 It is funny that she was hiding her actions from us so that she didn't give away the location of the nest. Here we are with $1000 + binoculars, a camera with a HUGE lens, and she thinks she's hiding the eagle from us by scurrying off. We all got a good laugh out of that. Although, she's doing what she thought was best for the eagle by not revealing the nest. It was still funny. 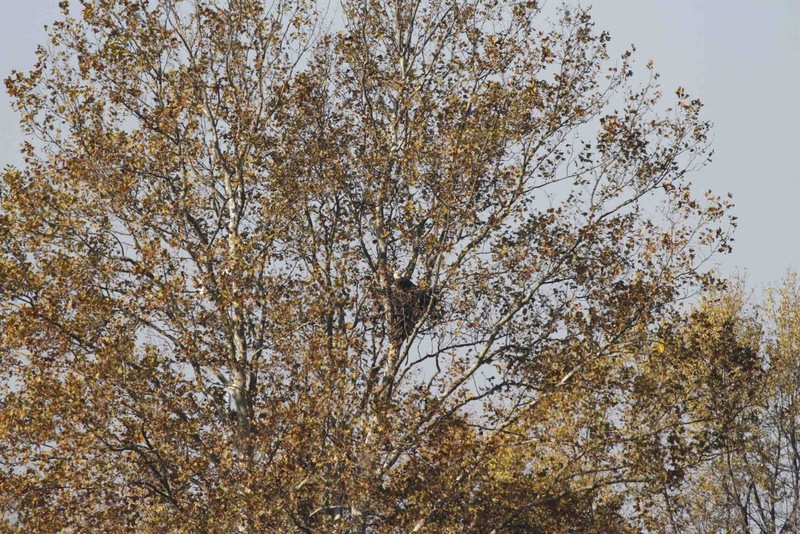 Funny too, that a Bald Eagle chose a prison site to build a nest in order to be safe. 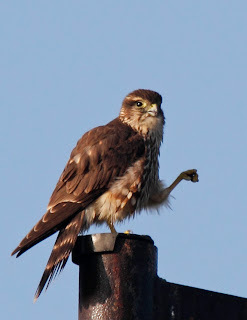 I like the third shot of the Merlin best - really shows those yellow feet. Also, love that fox sparrow! Well, evidently Tara was right, we did see fox sparrow before on the De Anza Trail in Tubac AZ. But it was still great looks this time!